Articles for May 2016 Year » SoftLab-Portable.com - Portable Soft! 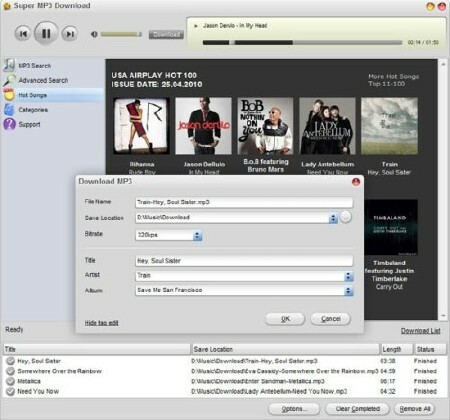 Super MP3 Download is easy-to-use software which enables you to fast download over 100 million MP3 for free from the largest download network and unlimitedly listen to music online before you download them. You can try the searched results to decide which one to download. Super MP3 download always brings you the hottest songs in the it recommends you the USA Airplay Hot 100 each week and lists the hottest songs of 14 categories, from electrical to religious, mainstream to indie, hip-hop to classical, etc. CloneDVD mobile converts your DVD movies quickly and easily into a format that your portable device (Sony PSP, Apple iPod Video, iAudio X5, Creative Labs ZEN Vision, etc) can play. You can also convert your DVDs to other file formats, such as DivX, XviD, AVI, MP4, etc. Watch your movies on the go! With CloneDVD mobile you can put your favourite movies or TV series on your mobile video equipment and watch them wherever and whenever you want. Let the kids watch their favourite cartoons in the car. FairStars Recorder is a real-time audio recorder, offering professional recording features with full support for WMA, MP3, OGG, APE and WAV formats. It allows you to record sound directly from your sound card, including from a microphone or a line-in jack at high quality. It can be used to grab any sound, including music, dialogs from movies, game sounds, streaming audio or anything else. The captured sound can be saved directly to WMA, MP3, OGG, APE or WAV format, without the need for temporary files. In addition, the program includes a ID3 tag editor and recording schedule. 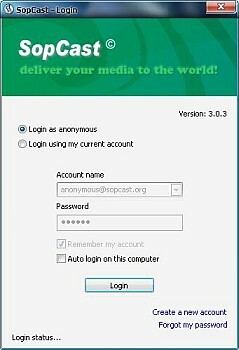 Additional features include silent skip (Silence Detector), file size limits, recording wizard and more.